If you are interested in joining the club, please use the form below to get in touch. The emails are checked regularly and we can give you more details about the club and answer any questions that you might have. We are always looking for new players with all abilities welcome. Four weekend league teams across all abilities – whether you are a bona fide Ravi Bopara or have never held a bat before, we have a team to suit your level. Juniors – we run a thriving junior section, which caters for all standards and abilities, for both girls and boys, between the ages of 5 and 16. Free coaching – throughout the summer, we run two net sessions a week. Open nets on a Tuesday and an organised session with our qualified coach on a Thursday. Midweek fixtures – we arrange a significant number of midweek fixtures so there are plenty of opportunities to get a game. We also have an LMS team and compete in several midweek tournaments. Winter Nets – we run net sessions throughout the winter so you can get your cricket fix all year round. We also compete in indoor tournaments during the winter so there is always cricket on offer! Location, location, location – we are centrally located at Roseburn Park – in the shadow of Murrayfield Stadium. So we’re easily accessed by bus (12, 26, 31), car (parking at Murrayfield Ice Rink or Roseburn Crescent) or on foot (15 minutes from Haymarket). 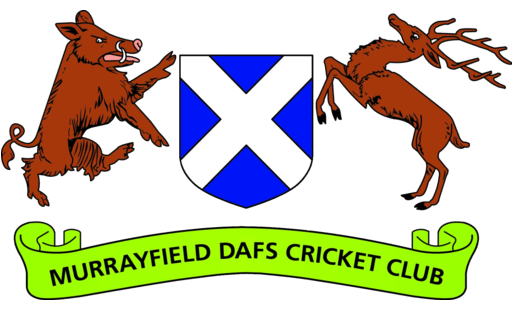 Club kit – we have an extensive supply of club kit if you are trying cricket for the first time or have just moved to Edinburgh don’t have your gear. Friendly, social, welcoming – above all, we’re a friendly club. We welcome players from all over the world whether you join the club for 6 weeks for 30 years!